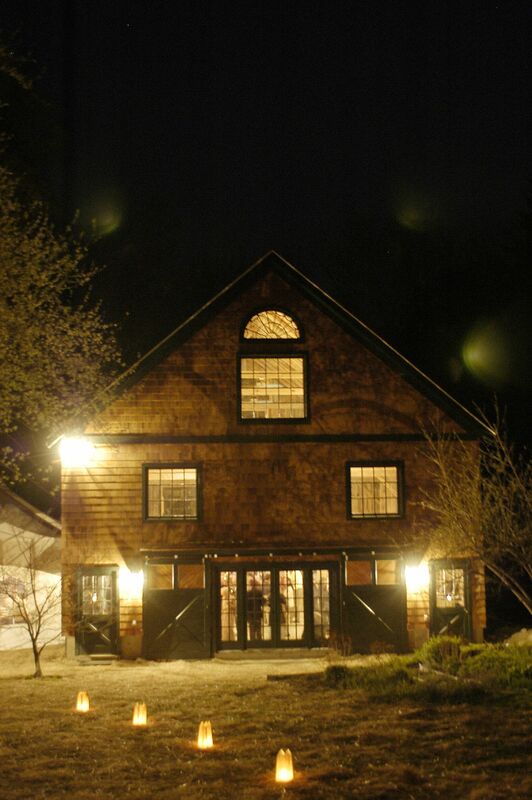 This 30′ x 34′ three story barn was designed around an 1840’s Vermont barn timber frame. 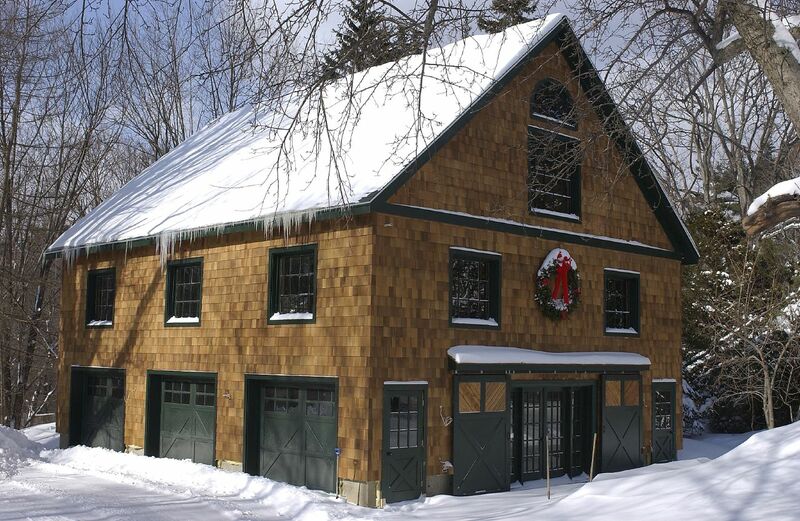 The timber frame was raised on a new radiant slab and the fully insulated shingle facades were built with salvaged schoolhouse windows and new garage doors and sliding barn doors. 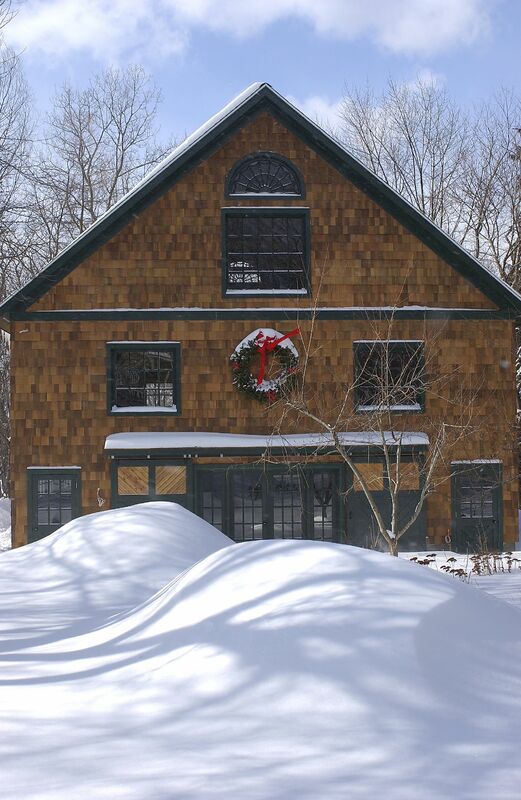 Interior wall finish is the original barn siding. 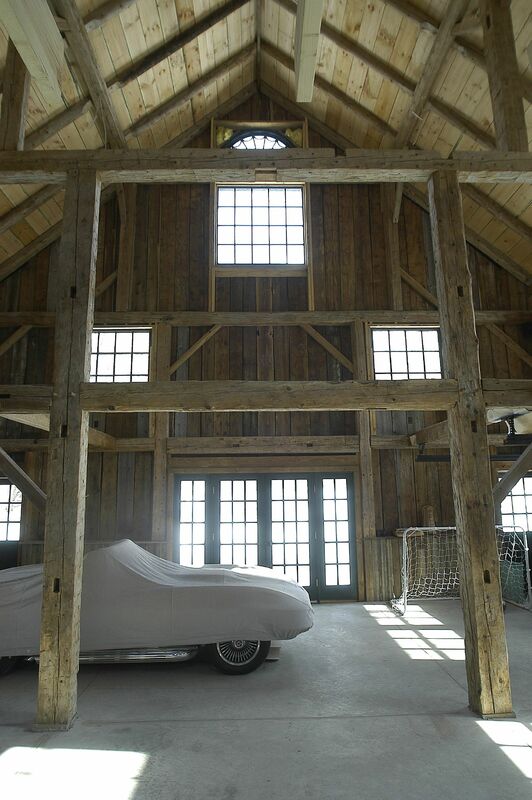 The intention was to leave the original barn frame and sheathing fully exposed to the interior, creating a very rustic finished space used primarily for parties.